In Fossil (Peepal Tree Press) Maya Chowdhry brings beauty to eco-politics, taking us on a journey across the globe and beyond, experimenting with scale, time and voice to inquire into and imagine the condition of the non-human world. nor antennae. It is not an insect. desiccate them with razor dust. I remember a dream where I was dust floating in water saturated air. I don’t remember waking up in bright sunshine. so insects came to watch the circus. I don’t remember how summer ended. the dawn back from darkness. I don’t remember when I became deaf. you roar spilling chemtrails hiding as contrails. return to pink and red shards that tear and choke my chicks. who are sharpening your hypothesis. stretching and swelling seas howling inside my flank. laughing at my reflection in your proximity suit. from the pinnacle, swim out of the open door. In Helen Moore’s collection of eco-poems, Ecozoa (2015), there is also passionate engagement with our own role in environmental destruction. Political and corporate indifference and corruption are illuminated. Here, the poet’s mission is to help bring into being a better, an ecozoic, future. In Fossil something just as determined, but altogether quieter, is going on: that is, the construction of an intricate lattice of connections or communications between modern science and our colonial history of insensitivity to wild nature, between the sun and trees and grass, between deep time and ideas about territory – all the time drawing our attention to the inconceivable complexity and delicacy of those multiple ecosystems. This is a collection to be read in one sitting, and then read again slowly. that makes fools of territory. with your minus sixty-degree nights, and avalanche-smothering storms. despite the sun rising in your shadow. engulfing you with their icy kisses. poisoning the snow bear, the white-winged river-chat. 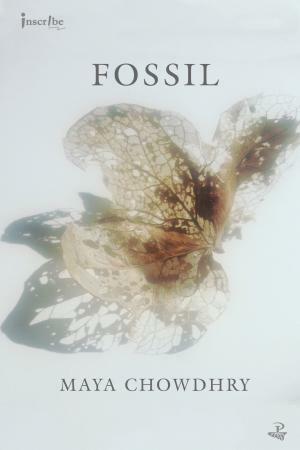 You can purchase Fossil from the Peepal Tree Press website.